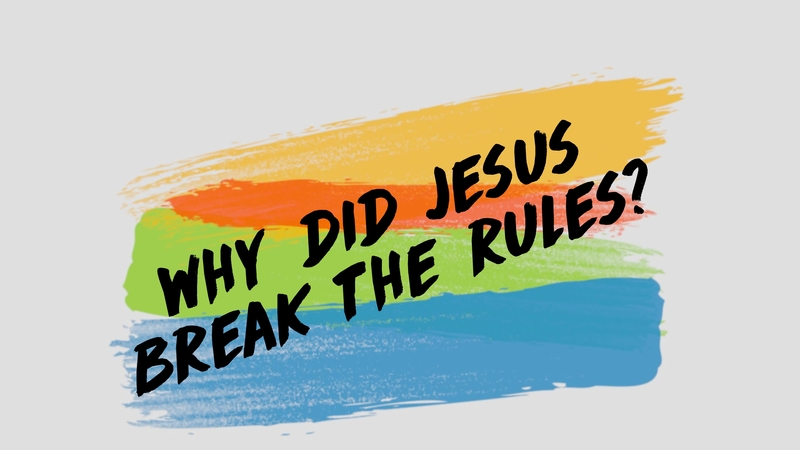 Why did Jesus break the rules? Was he trying to be deliberately shocking, or was there something else going on? By the time of Jesus, some religious leaders were so paranoid about breaking God’s law that they had introduced over 300 additional laws as an extra safeguard, just in case. These extra rules became a burden to ordinary Jews, and the teachers didn’t seem to help lift this burden. In fact, they were making it hard for folk to meet with God. Jesus came to challenge the religious leaders, and get to the heart of the law that brings freedom for its followers.